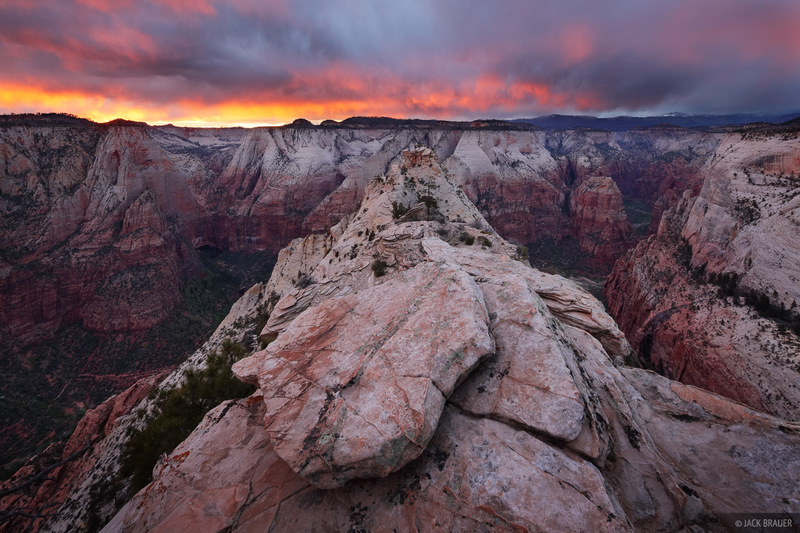 A spectacular sunset above Zion Canyon, as seen from Deertrap Mountain on the East Rim. Angels Landing is the red rock outcropping visible in the canyon on the right side. The Narrows is up the canyon past that. Photo © copyright by Jack Brauer.